These are so easy. When I make these, I use paper scraps and brads (the little clasps you find on envelopes). But you could use staples; it’s much easier. 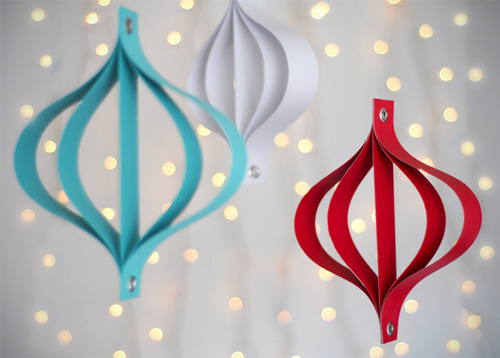 Make these in any size and hang them from thread or fishing line – so festive! Felt + Wool =’s Awesome! How cute is this? 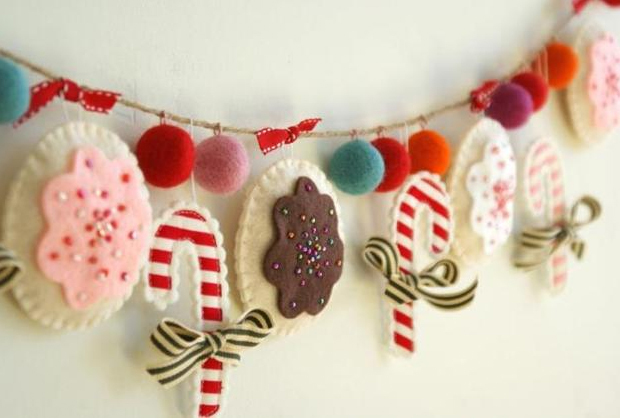 A little felt, a little wool, some thread, and ribbon – it’s pure fancy! 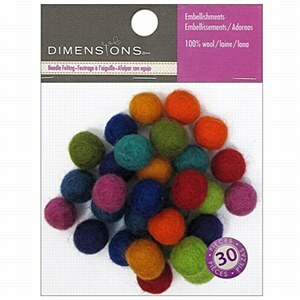 I found the wool balls for sale online, but would much rather make my own. There is a felt artist that I admire. The artist is Hine Mizushima. I will show a sampling of the art below. I would really love to spend more time with this material. 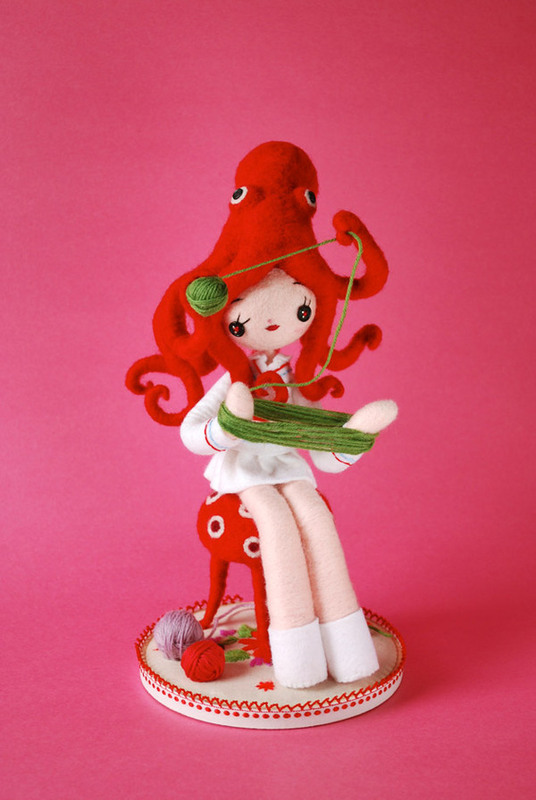 The art form is called needle-felting. Felt can be made from natural fibers such as wool or with synthetic fibers such as acrylic. It can be a rather long process, but would be a fun thing to do during car rides. Here is a beginner video.